Seven questions about herbal medicines from Hana, a student, who asked me whether I might consent to an interview. I did, and here are the questions and my answers. 1. What advantages do you think herbal medicines have over traditional pharmaceutical medicines? 2. If herbs are natural, are they safe? 3. Many people say that herbal medicines are not safe because the FDA does not regulate them. How do you feel about that? 4. Would you advise someone to pursue a career in herbal medicine? Why or why not? 5. Do you know of a bad experience with herbal medicines? What happened? 6. Since sometimes herbs can be dangerous to a people, why are they not fully aware (by the government, doctor, etc)? 7. If both allopathic medicine and herbal remedies have side affects, which one do you think is better and safer? 1. Herbal medicines have several advantages (from the viewpoint of patients and doctors, not necessarily from that of pharmaceutical producers): One advantage is wide availability and simple preparation. Most herbs can be prepared with means we all have access to, such as making teas, extracting with alcohol, or similar. This is a large factor in cost of treatment. Herbs are also very well researched. If we pool the knowledge from diverse traditions, we have a cure for just about every illness known to man. Last factor: Herbs have been around in nature for millennia and our bodies are - one way or another - accustomed to their presence. Pharmaceutical medicines on the other hand often introduce a completely new molecule that has never before been present, and it is difficult to predict (or find out without widespread use) what the exact effects are. So widespread use of pharmaceuticals has led to widespread death. See article: Death by Medicine. 2. No, herbs are not completely safe in the sense that you could take them without knowing and be all right. But in contrast to pharmaceutical medicines, herbs are well researched and real adverse effects are extremely rare. For comparative statistics on the safety of herbs (and supplements) as distinct from other causes of death, see the statistics prepared by Ron Law. The figures on supplements include herbal products as sold for instance in health stores. 5. Bad experiences with herbal medicine seem to be extremely rare by comparison. I have no personal knowledge of one. 6. Sometimes herbs can be dangerous, just like cars can be dangerous, travelling in an airplane, horses, water, and all kinds of things we normally find in the environment. If I look at the real figures of statistics compiled by Ron Law referenced in number 2 above, I have to say that even though herbs can be dangerous, they are below what we consider a danger that something must be done about it. Let's start with more important dangers, such as food (more people die from eating peanuts or bad meat than from herbs) or let's look into pharmaceuticals. 7. I have no doubt that herbal remedies are infinitely safer than allopathic medicines. There is really no comparison in seriousness and number of cases of side effects. My name is Shawnique Warren I am a student at the University of the West Indies, Mona in Jamaica. I am currently doing a research titled ' Does the advantages of herbal medicine outweigh those of modern medicine'. I found your web page while doing my research and found it to be a valuable and reliable source. It is required of this research that an interview be done with an expert in the field and I chose you Mr. Hasslberger. I know you may be quite busy but i am kindly asking you to please submit to a short interview of ten (10) questions. If you could please send responses to the sender email address shawnique_warren@yahoo.com it will be greatly appreciated as it will help me immensely in my research. Awaiting your reply and thanking you in advance. My research began where I wanted to find out why there was a sudden increase in the advertisements of herbal medicine in local Jamaican newspaper. This intrigued me and when I was required to do a project in a foundation course which is based on writing researches in your discipline( i do biochemistry) I chose the topic. I had problems with the research and had to modify my topic to the one mentioned in my previous letter. I have so far found information on detrimental effects of various pharmaceutical drugs which have even led to death, the many advantages that herbal medicine (when used properly) provides such as less side effects (in most cases none at all) since what is referred to as the 'silver bullet' approach is not used as in pharmaceutical drugs where they isolate the active ingredient and produce there wonder drugs , more convenient (can be obtained on shelves without prescriptions (although this could be argued to be a negative), and is more cost effective ( relatively cheaper than pharmaceutical drugs). It was also asked by the researcher whether a herbal medicine industry would do well for the economy of developing countries. Overall from these ideas it was seen that herbal medicine proves to be more advantageous than pharmaceutical drugs and so the researcher wondered why we were so dependent on pharmaceutical drugs, here i found where their were issues in production when it comes to testing the safety, efficacy and appropriateness of the drug where unlike pharmaceutical drugs they were capable of testing whether specific substances could affect other metabolic actions, cells, tissues and organs of which they are not intended to affect. I know it is pretty scanty but this is what I have so far as finding reliable sources are a hard task since I mostly meet up on advertisements and herbal products website which would be bias. I found your article titled 'herbs safer than pharmaceutical medicines' dated march 25 2005. which provided some advantages which corresponded to information I found on other websites and a book called herbal medicine written by R.F Weiss. Also I saw where in answering those question you could find reliable data to back up your points and this is why I chose you for my interview. (1) For how long have you been researching and working in this field? My work in the field of natural health goes back more than 20 years - to the early 1980's. (2) What is your occupation? Self employed. I am owner of a company that imports natural health supplements, mostly nutritional such as vitamins etc. (3) What are the major advantages which herbal medicine hold over modern medicine. The major advantage of herbal medicines over modern medicine is the substantial absence of serious side effects of herbs compared with pharmaceutical medicines. Herbs have been around for a long time and have traditionally been used in cooking as well as in the healing arts. Their effects are well understood and their toxicity is easily controlled by adjusting dosage. Pharmaceutical medicines are either copies of a herbal "active ingredient" or are completely new molecules that do not occur in nature. The problem with copies is that pharmaceuticals that are identical to a herb cannot be patented, so pharmaceutical manufacturers strive to make a slightly different version of the molecule to evade inevitable competition. The tweaking of herbal molecules and the invention of ex novo drugs lead to patentability, but they also lead to problems of compatibility with the human organism. Unforseen side effects often appear after a drug has been on the market for years and is taken by many. Drug testing does not find these effects as the number of patients in trials is not generally high enough. Also, trials are controlled by the company that wants the medicine approved, they are slanted to find efficacy and safety, not side effects. (4) Are there any significant advantages that modern medicine has over herbal medicine? In the area of emergency care, modern medicine is superior. This is things like setting bones, patching people up after accidents, or life-threatening illnesses that require immediate intervention. (5) My thesis statement states that 'Herbal medicine is a healthier, more convenient and cost effective treatment for ailments than pharmaceutical drugs' do you agree or disagree and are there any more important pints to be discussed? I agree with the general statement. What herbal medicine does, especially if combined with nutritional intervention (good, uncontaminated food and where needed nutrient supplementation), is that it shifts emphasis from late intervention to prevention. Huge savings can be obtained by keeping the population healthy as opposed to waiting until a person is sick and then intervening with heavy medication. I believe it would be a wise move for developing countries to invest in herbal medicine, but there is an important caveat: Investment in industry is only part of what would need to be done. Another important thing would be to train medical doctors in the use of the herbs available in the country, as well as to revive any indigenous herbal healing tradition. Also important: Care should be taken that environmental destruction does not result from indiscriminate harvesting of wild herbs. Cultivation of medicinal herbs is an opportunity to provide income for small scale farmers and growers. I believe that every region has many herbs that can be usefully employed for healing. Trade is a possibility but is not the major advantage of having indigenous production of herbs. The first advantage and the real gold mine presented by the widespread use of herbs is that of saving on expensive pharmaceutically made medicines that are often not more effective than a herbal product. (8) Why do you think doctors rely more heavily on pharmaceutical drugs than herbal medicine even after viewing all the side effects of pharmaceutical drugs? It is a question of training. Doctors are trained in a pharmaceutically funded and largely pharmaceutically controlled environment. They are actually warned against using anything but pharmaceuticals in their approach to health. Side effects are seen as the necessary - and small - evil that accompanies effective medical intervention. (9) Do you think that doctors are now becoming more accepting of herbal medicine? I do not see any big changes yet. Doctors will change only when pharmaceutical manufacturers produce herbal products and promote them, or when their training will include alternative modes of intervention such as nutrients and herbs. (10) What do you believe must be done to destigmatize herbal medicine and provide a level playing field with the World Health Organization when it comes to herbal medicine and pharmaceutical drugs. II believe the World Health Organization is already making much of an effort in promoting herbal medicine. Unfortunately, when the WHO issued a publication proposing a new strategy for herbal medicine, the press seized upon it as if the WHO was warning against the dangers of herbs, not promoting their use. b) a herbal pharmacopeia needs to be established, independent of the existing pharmaceutical one. c) training of medical doctors to include herbal knowledge. d) pharmaceutical influence in health policy needs to be kept to a minimum. Pharma is a supplier of products for health, but it should not be a monopolist. Officials in health authorities should also have training that includes both medicine and herbal/nutritional health intervention to counter-act the often one-sided information about only modern pharmaceutical drugs. I hope this might be helpful for your work. A new study published in Germany has found that St. John's Wort, a medicinal herb frequently blamed by conventional medicine for interfering with prescription drugs, is more effective than a popular antidepressant drug in treating depression. EU to extend concept of medicine - eliminate "borderline products"
I would also like to add that there is little difference between Big pharmageddon and Baby Pharmageddon i.e. the supplement industry and the purveyors of standardised herbal medicines. This because the isolated molecules from natural sources are being adminstered as a gross over dose. I say that because the synergy had been destroyed by that practice. Also peoples right to self medicate is being legislated away aided and abetted by this new breed of clinical medical herbalists.For example Simon Mills NIMH (UK) supports the control of herbal medicine. The urge to power and control so evident at all levels in the Herbal industry is just playing into Pharmageddon hands. Although I agreee to a point with you, Ivor, we have to realize that not all plants are safe simply because they are natural. No one would knowingly consume something like water hemlock or Belladonna berries, of course. We thus know that some plants are toxic. With years of clinical experience, we have a pretty good idea what is and is not toxic. There are some herbs that, with longer term evidence of safety hazards, or additional testing on animals, have been removed from the market or had additional warnings attached to their sale. I agree that the regulators go overboard, especially with such items as Kava, that when used properly pose little risk. I also think that natural medicines, even if deemed to have an acceptable level of risk, should simply carry appropriate warnings, as most already do, like "do not use if pregnant," rather than be taken away from us, as is being done in Europe and soon in Canada. As far as standardization is concerned, for the most part I see that as a good thing. There are 2 things which must be differentiated: concentrated extracts, such as Ginkgo and Milk Thistle, are as Ivor points out, no longer really herbal medicines. They have taken an otherwise normal "herb" and concentrated a single chemical ingredient to a point of pharmocological activity. Not to deny that this is not having a measurable effect, but it does differ from true herbalism. Simple standardization, on the other hand, ensures that you are getting what you payed for. "The proof is in the pudding" is not always an adequate measure, especially when you are using herbs for prevention. Although I would prefer to simply trust the manufacturer - that what they claim on the label is actually in the bottle - when they are required to assess their product for a marker chemical, it is to ensure simply that the bottle contains what the label claims. The main drawback with this approach is that some companies with better, more active, products, actually have to dilute their product down to match the less stringent standard. As an old ex-Austrian Druggist and Herbalist I fully agree with your reply to this student. Being a Herbalist would also be a far less stressful career compared with the one some of our doctors here in the U.K. have to put up with working for the N.H.S. ! But is there not a suggestion that eventually Herbs will also be looked at by the EU ? Anything taken in excess of what one's body will tolerate is likely to cause damage to it, be that eating, drinking, smoking, too much sunshine, etc, etc, even exercise ! 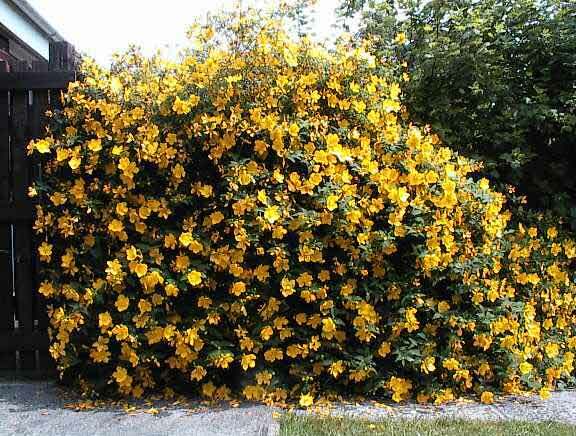 One of the herbs which taken in excess could cause problems is "St.John's Wort", a beautiful in full bloom bush of which is growing at the back of my bungalow. I can not remember ever reading that anybody died from an overdose of Herbs, Vitamins or Minerals supplied as food supplements, which can not be said about Pharmaceutical products. Even a widely used one like Paracetamol, which is freely available in any quantity one would like to buy, can and is killing people overdosing on it. Keep up the good work and one day we shall overcome, as they say! We have millenia of Empirical evidence as to what and what is not safe. Why do we need science to prove something that just 50 years ago every house wife used to know? Standardised herbal medicine e.g. Standardised tinctures whereby the so called active ingredient was adjusted to a predetermined level was abandoned for the simple reason that the orthodox pharmacists understood quite clearly based on clinical observation that such adjustments produced inferior results when compared to medicines prepared by arbitrary standardisation. A case in point being the Foxglove and the digitalis saga. The cascading physiological synergistic effects produced by a single herb is quite beyond science and will be for many many decades to come. Polypharmacy and by that I mean all of the offerings of Baby Pharmageddon was discredited in the 1930,s and that is why orthodox medicine embarked on the road of the isolated and/or manipulated molecule with all of the subsequent disasters. See the article posted by Sepp, 'Death by Medicine'. It is precisely all of this kowtowing to medical science that has produced the current mess. People have abandoned their commonsense and consequently must pay the price and surrender their birthright to those that would control them. This is not a new problem and the cult of expertism is corrupting natural medicine. This new brand of natural healer instead of educating people to take charge of their own health attempts to control them by virtue of a dubiuous superior knowledge based on numerology masquarading as scienctific trials. For all of those of that ilk I would remind them of what happened to Homeopathy at the start of the 20th Century when they jumped into bed with orthodox medicine. I am a traditional herbalist and classical naturopath of some 40 years standing. The name of the game is education not control. A meeting discussing other methods for cure in Portland OR. 97220-1382, May 18 - 22.
cancer, simian 40 - HIV etc., diabetes, mercury. etc. For those interested in preventing disease (here including cardiac disorders and cancer), rather than waiting for the disease to manifest itself, may I suggest a Google search on RBTI. RBTI (The REAMS BIOLOGICAL THEORY OF IONIZATION) was the product of the brilliant intellect of one Dr. Reams who was both a medical physician (licensed in UK but not in US) and a noted agronomist. One might find this a topic of binding interest. Umm, that really is not a picture of St. John's Wort. well, I take the word of the friend who sent me the picture and said it is. He lives in England and I hear they are great gardeners there ;) - What would you say it is, if not a St. John's ? pity that your blog isn't active though. of a woman suffering from cancer while the other one a 36 years old who has not been having her period for 12 years! Imagine their agonies and the money they have spend. The cancer patient was cured within less than 3 weeks while the other one regain her normal period within 3 days! !.The cure? Virgin Coconut Oil + Black Seed oil. that were unheard before?Don't we realise the harmful side effect of pharmaceutical medicine or drugs? Although we could not present a control test on its effect (who cares) but listening to those countless joyous people relating their recovery speaks for itself. I myself suffered from sinusitis problem for 20 years and had been recently cured with VCO. That is my experience. We in Malaysia are fortunate enough because coconut is our native crop.